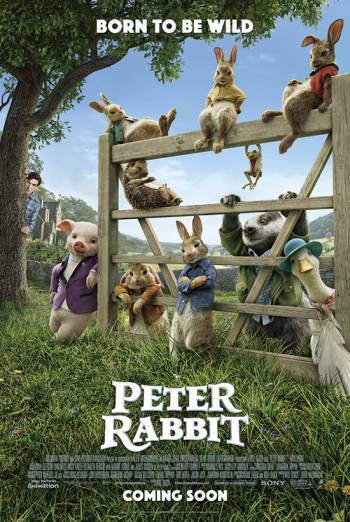 PETER RABBIT is an animated adaptation of the Beatrix Potter story in which a rabbit tries to outwit a farmer and save his supply of food. There is threat to the animals involving variety of makeshift weapons including garden implements and sticks of dynamite. There is comic violence when Peter and the farmer fight each other, with lots of slapping and kicking and comical pratfalls. There are some scenes where electricity is used to comic effect but nobody is ever hurt. In one scene, a character who is allergic to blackberries is pelted with the fruit and must use an epipen to counteract the effects.